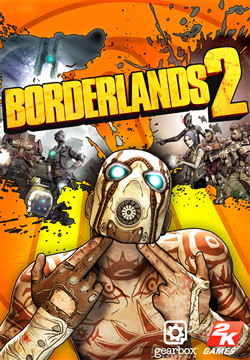 My new job has certainly created some interference with my blogging and game design work, but I have a confession to make - Borderlands 2 has also created interference! I'm not normally an FPS player; I usually stick to A/RPG, MM/RPG, or RTS games. But this one is an exception. For those not familiar, this game is set in a sort of fantasy world that also has guns and laser beams and such. The best part of the game is the sense of humor portrayed by the game designers - and memorable characters that make me laugh. Even Claptrap. And they make BabyBat laugh - she plays it with me, of course. It is basically an A/RPG that throws away the normal isometric view, in favor of first-person view. The classes start the same, and play the same for the first 5 levels, out of a maximum of 50 levels. Each class gets one distinctly flavored ability at 5th level. For instance, Commandos can summon a stationary machine gun turret that attacks on its own. Gunzerkers can dual wield any set of weapons... like rocket launchers. How you like them beans, Mr. Overplayed Drow Ranger? Those swords are really cute. This "token" ability is the basis for each class's flavor. I haven't paid enough attention to know if Hit Points scale differently for each class, but if they do, it isn't by much, so the classes only differ in this basic ability and in their skill choices. Starting at 6th level, each character receives one skill point per level to buy a skill of the player's choice. This takes the normal form of the now ubiquitous 3-tree system, like diablo 2 or torchlight 2. Buying 5 skills in a single tree opens up the second tier for purchase, and so on. So the Siren can put a lot of points in Harmony (it's a healing tree for the most part), or she can focus on Cataclysm, where the penultimate skill lets her "slag, electrocute, and corrode every nearby enemy." Rawr. Check out the skill trees for yourself at http://www.borderlands2.com/us/skilltree/, if you like. The fact that all of the most popular A/RPGs ... except maybe gauntlet? ... use the 3-tree system implies that it is useful. Many players in RPGs like to have 3 main choices for each character, maybe more, but rarely less. Sort of like building a D&D fighter as either a tank or a swashbuckler or a barbarian... it lets players create distinct versions of their character that isn't so likely to be a carbon copy of the last 5 fighters the group saw in play. Diversity is fun. So check out BL2 if you haven't yet. It's just good research for game design. Hmm, must be tax-deductible too, then, right? *** Note: I am not an accountant and do not actually recommend deducting your video games from your taxes, unless maybe your auditor also plays them, in which case that is a really cool auditor, and I guess on the downside probably won't be an auditor for long anyways so nevermind on that whole thing. Great game, been a while since I played it though. You should give Path of Exile a shot, it's a popular free Diablo clone that's been floating around and has gotten quite a bit of praise. ON special via steam now at 50% off. Going to get it right away. Nice - I got my copy on amazon digital download for the same 50% off, and it turns out the "digital download" was a steam code. Good times. Huge BL2 fan. I haven't bought any of the downloadable content. Completed it and got through the beginning part of the second run through when it first came out. I have the 3 DLC missions but haven't played them yet. We did get the mechromancer, though, which is more or less the perfect RPG character for BabyBat. Drop me an email if you want to connect on steam!